In July 1861, Confederate Brigadier General Joseph E. Johnston dramatically demonstrated the importance of railroads in modern warfare when he moved 12,000 troops by rail from Piedmont Station (now Delaplane), Virginia, to Manassas Junction, a distance of about fifty miles, to reinforce the Confederate forces assembled southwest of Washington, DC. The move took only about one-third the time it would have taken for the troops to cover that distance by marching, and they arrived ready to fight. The reinforcements surprised the Union forces and contributed to the rebel victory on 21 July at the First Battle of Bull Run. It was but the first effort to transport large numbers of soldiers during the Civil War by rail. Railroads were so important that the War Department organized the U.S. Military Railroads and the Railroad Construction Corps to repair, operate, and maintain rail lines as the Union Army moved into Confederate territory. Both organizations relied heavily on experienced railroad executives and engineers who were commissioned as volunteer officers and worked under the supervision of the Quartermaster General of the Union Army, Major General Montgomery C. Meigs. The concept of commissioning experienced railroad men into the Army continued in World War I under the auspices of the Military Railway Service (MRS) operated by the Corps of Engineers. Regular Army colonels commanded engineer regiments organized as railroad units. Professional railroaders commissioned as lieutenant colonels served as the regimental executive officer. Between World Wars I and II, the Corps of Engineers determined that the regiment was not the best organization for operating railroads. Engineer Reserve officers who were railroad men in their civilian careers helped design appropriate units for military rail operations. They decided to use the lowest organizational element of American railroads, divisions, as the basis of the new organization. In a railroad division, a superintendent had the responsibility to maintain mainline tracks, sidings, terminals, shops, and structures required to operate trains over a designated section of rail line. The division also maintained and operated the locomotives and cars. Professional railroaders and Army engineers designed a railway operating battalion that mirrored the functions of the civilian railroad division. The mission of a railway operating battalion was to manage and maintain a designated section of a military railway in a theater of operations. Unlike civilian railroads, however, the battalions also had to be prepared to destroy the line it operated. In general, a railway operating battalion could maintain and operate between ninety and 150 miles of single-track railroad, although its actual area of responsibility in wartime depended on the military situation. When conducting rail operations in friendly areas or occupied territory, the battalion used local civilian technical and skilled railway employees to augment its capabilities, but they had to be supervised by military personnel to safeguard against possible sabotage. It also presented challenges to the English-speaking American soldier-railroaders who were not always familiar with how other countries operated their railways. The organization of a railway operating battalion paralleled a typical Army battalion with a headquarters company and three or four lettered companies. Each company had a unique organization with specific capabilities corresponding to the organization of a civilian railroad division. Headquarters company dispatched trains, supplies, and signals. Company A repaired and maintained track and associated equipment such as switches, bridges, water tanks, signal equipment, and buildings. The company had two platoons, one for bridge and building maintenance and one to maintain track. Company B operated the roundhouse and repaired and maintained rolling stock—locomotives and cars. It also had two platoons, one to repair locomotives, the other to repair cars. Locomotives and railway cars were not assigned to the battalion but moved through the entire railway system as needed. Company C was the largest unit in the battalion with two platoons, each of which had twenty-five crews to operate trains, yards, and stations in the battalion’s area of responsibility. In areas of the world where there were large numbers of electric trains, such as Europe, a Company D could be added to the battalion to maintain the electrical supply system. Not only did the battalion organization reflect the civilian railroad division, the table of organization correlated military positions to their civilian counterparts. The battalion commander, a lieutenant colonel, was equivalent to a division superintendent in a commercial railroad. 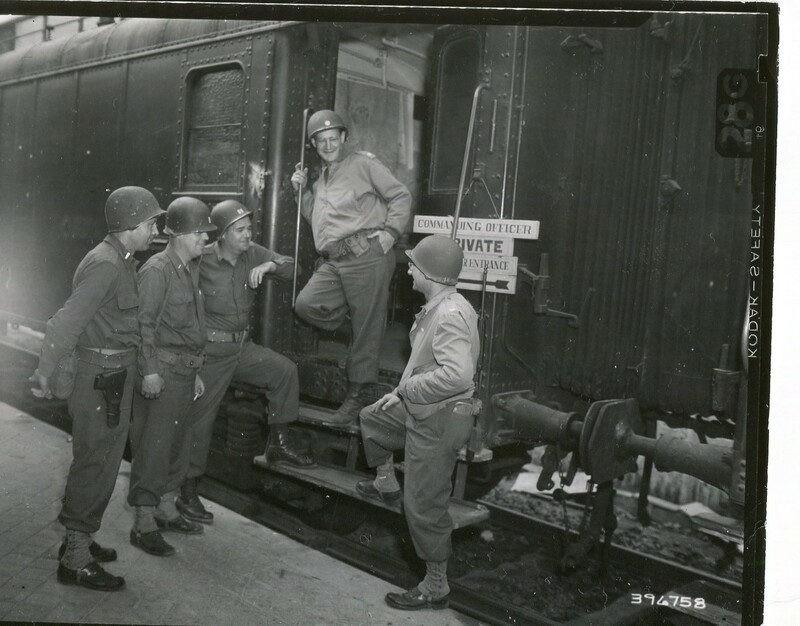 The company commanders, all captains, equated to their counterparts in civilian railroads: a division engineer commanded Company A, a master mechanic commanded Company B, and a trainmaster commanded Company C. Platoon leaders had similar designated civilian specialties. Many of the enlisted soldiers were experienced railroad men who performed essentially the same jobs in the Army as they did in their civilian professions. While the emphasis was on railroading, the soldiers attended basic combat training and the battalions all conducted disciplinary, physical, combat, and technical training in accordance with appropriate Army field manuals. To find and train officers and men for the new battalions, the Corps of Engineers developed an Affiliation Plan whereby commercial railroads in the United States sponsored specific units in the MRS. Under the plan, a commercial railroad nominated officers based on their technical duties. After passing a physical examination, they were commissioned as Reserve officers in the Army and assigned to appropriate positions in the battalion sponsored by the railroad to provide a cadre of professional railroad men. The next higher headquarters for a railway operating battalion was a railway grand division that corresponded to the office of a general superintendent in a civilian railroad and oversaw the operations of several divisions. A grand division typically included three or four operating battalions, a shop battalion, and a base depot company. Shop battalions handled major repairs, construction, and overhaul of equipment while the base depot company provided supplies. Theaters of operations with more than one grand division established an MRS headquarters. On 18 June 1941, the Army organized the 711th Railway Operating Battalion, the first of its kind, at Fort Belvoir, Virginia. Unlike other railway operating battalions, it did not have a civilian company sponsoring it. The intent was to rotate officers and enlisted men through the battalion for short tours of duty for training. Officers from ten different American railroads staffed the battalion, and a cadre of twenty-eight enlisted men came from the Engineer School Detachment at Fort Belvoir. Several hundred men with railroad experience were also assigned from the Engineer Replacement Center on the post. Within forty-eight days of activation, the battalion had rehabilitated the long-neglected four-and-a-half mile Quartermaster railroad that served the post. The work included replacing thousands of ties, repairing several bridges, and installing twenty culverts. Its next assignment was a bit more challenging. The battalion moved to Camp Claiborne, Louisiana, in August 1941, where it began work on a training facility for railway operating battalions as they were called to active duty. Work began using rented earthmoving equipment operated by soldiers in the 711th until Army equipment became available. The first track was laid in September, and in October, the 91st and 93d Engineer Battalions, both manned by African American soldiers, arrived to assist with the construction. More than 6,000 troops worked on the line. During the course of building the railroad, the 98th, 383d, and 331st Engineer Battalions, as well as several dump truck companies, worked on the project. On 11 July 1942, a “golden spike” ceremony marked the completion of fifty miles of grading and track laying between Camp Claiborne and Fort Polk. Known as the C&P Railroad for Claiborne and Polk, trainees called it the “Crime and Punishment” or the “Worst Railroad on Earth” because it was built on unstable ground, making derailments common. To make the training more realistic, the twenty-five bridges along the line were periodically blown up so maintenance teams from the battalions in training could rebuild them. The C&P included rail yards at each end of the line and engine-house facilities at Camp Claiborne. The telegraph and telephone line used to dispatch trains was erected by the 26th Signal Construction Battalion. Rolling stock included nine oil burning locomotives and almost 100 cars, including coaches, gondolas, boxcars, flatcars, refrigerator cars, and cabooses. After the United States entered World War II in December 1941, the Army activated additional railway operating battalions under the Affiliation Plan. In March 1942, the 727th Railway Operating Battalion, sponsored by the Southern Railway Company, became the first battalion to be activated after the war began, followed in April by the 713th, affiliated with the Atchison, Topeka and Santa Fe Railway Company. Most of the officers and many of the enlisted men were experienced railroaders, but the new battalions included men drawn from Army training centers who needed to be trained. The newly organized battalions also had to learn how to operate efficiently as units, so the War Department contracted with commercial railroads to provide on-the-job training. For example, an Army train crew would accompany a train manned by civilians to learn operating rules and railroad techniques. The same procedure was followed for other specialties in the battalion with soldiers working alongside their civilian counterparts to learn the basics of railroading. The 713th trained on the Santa Fe line near Clovis, New Mexico, while the 727th went to Camp Shelby, Mississippi, to train on the Southern Railroad between Meridian, Mississippi, and New Orleans, Louisiana. 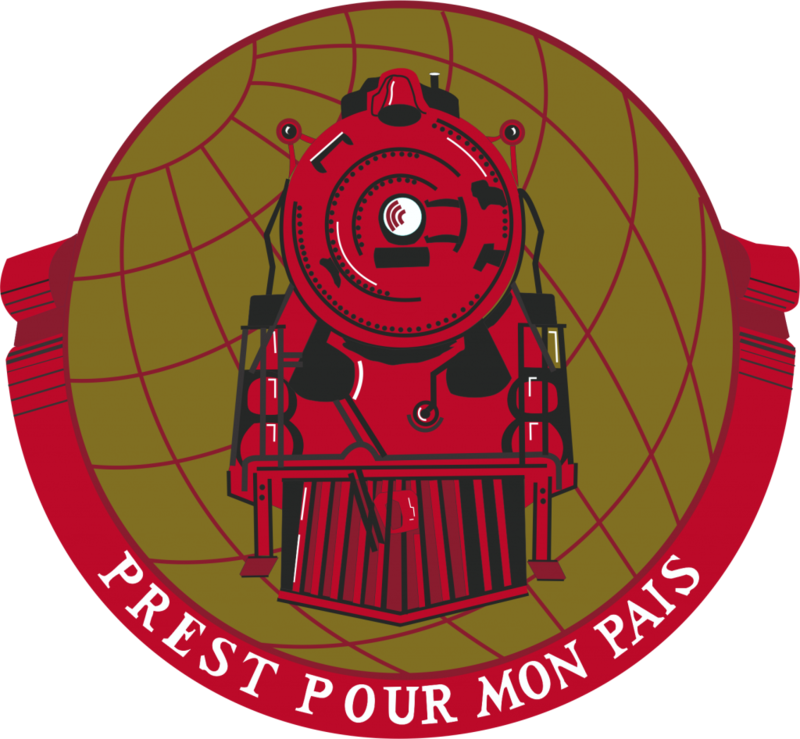 When the 730th Railway Operating Battalion was activated in May, its sponsoring company, the Pennsylvania Railroad, trained the unit on its line near Fort Wayne, Indiana. As the war effort increased, the War Department activated additional railway units including grand divisions to coordinate operations in overseas theaters of operations and shop battalions to support the operating battalions. In November 1942, the Transportation Corps assumed responsibility for the MRS. During World War II, the MRS operated in every theater of operations where there were American forces. At its peak, it included eleven grand divisions, thirty-three railway operating battalions, and eleven railway shop battalions. A variety of engineer, signal, and military police units provided support to the railroaders. In September 1942, a detachment of men from the 713th and 727th Railway Operating Battalions became the first soldier railroaders to deploy outside the contiguous United States when they left Clovis, New Mexico, to assume operations of the White Pass and Yukon Railroad in Alaska. In November, the unit was designated the 770th Railway Operating Detachment. In December, two railway operating battalions deployed to theaters overseas. The 711th, which built the C&P Railroad in Louisiana, went to Iran while the 727th headed for North Africa. The 711th Railway Operating Battalion arrived in Khorramshahr, Iran, a port city on the Persian Gulf, and began operations in January 1943 making up trains and moving them out of the port before taking responsibility for sections of the line. The 711th was joined by the 730th Railway Operating Battalion (Pennsylvania Railroad) and two shop battalions, the 754th (Southern Pacific Company) and 762d (American Locomotive Company, Baldwin Locomotive Company, Electro-Motive Corporation) Railway Shop Battalions. The 702d Railway Grand Division, staffed mainly by railroad men from the Union Pacific Railroad, coordinated the operations of the four battalions in operating the Iranian State Railway which carried three out of five tons of Lend-Lease material shipped to the Soviet Union through the Persian Corridor during World War II. Although the railway operating battalions were designed to operate ninety to 150 miles of line, in Iran the 711th operated 388 miles, and the 730th 289 miles. Creation of the 1st Provisional Railway Operating Battalion, later designated the 791st Railway Operating Battalion, by taking men from the battalions already in Iran plus personnel from other units in the command who had prewar railroad experience, helped reduce the distances. The new unit took over a 221-mile stretch of mountainous country, leaving the 711th with 258 miles and the 730th with 198, still more than the doctrinal guidelines. During the time the MRS operated the Iranian State Railway, it handled more than four million long tons of freight. In addition to the freight, special passenger trains carried 16,000 Iranian military personnel, 14,000 Polish war refugees, 40,000 British troops, and 15,000 Russian ex-prisoners of war. During the Muslim holy days from 22 February to 21 April 1944, 21,000 pilgrims traveled on trains operated by the MRS. The last American soldier railroaders left Iran in July 1945. When the Americans and British began planning for an invasion of North Africa, logisticians estimated that it would require thirty-four trains a day to move 5,000 tons a month from the ports of debarkation at Casablanca, Oran, and Algiers to keep Allied forces supplied. The MRS deployed five operating and two shop battalions to keep the required supplies moving. The first railway operating battalion, the 727th, arrived in Africa in December 1942. In January 1943, the 701st Railway Grand Division, sponsored by the New York Central Railroad, was activated at Fort Snelling, Minnesota. After a brief training period in St. Paul monitoring troop trains and studying car records and other documents in the Twin City terminals, the headquarters traveled by train to New York where it boarded the USS Orizaba as part of the Allied forces bound for North Africa. By May, the 701st was in Casablanca where it coordinated the work of three railway operating battalions, the 715th (Illinois Central Railroad), 719th (Texas and New Orleans Railroad Company), and 759th (Missouri Pacific Railroad). Railroading in North Africa proved to be a challenge. Trains were operated by British, French, and American crews assisted by Arab civilians. With a variety of languages among the railroaders, the crew often used hand signals, although that was not always a solution. For example, the U.S. signal for “go” or “highball it” in railroad terms meant “stop!” in the French system used in North Africa. 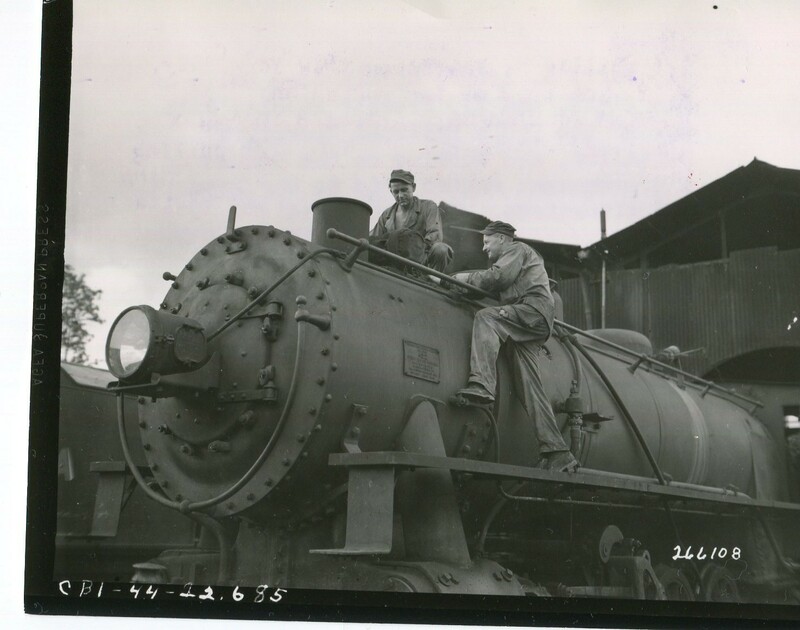 Another quirk was that French locomotives in North Africa did not have seats for engineers or firemen as American ones did, so crews had to stand for hours on end while they were underway. After freeing North Africa from German occupation the Allies’ next move was to Sicily, and MRS personnel went with them. Three days after the initial landings on 10 July 1943 the 727th Railway Operating Battalion went ashore at Licata, Sicily, and immediately began work on the Sicilian railway. 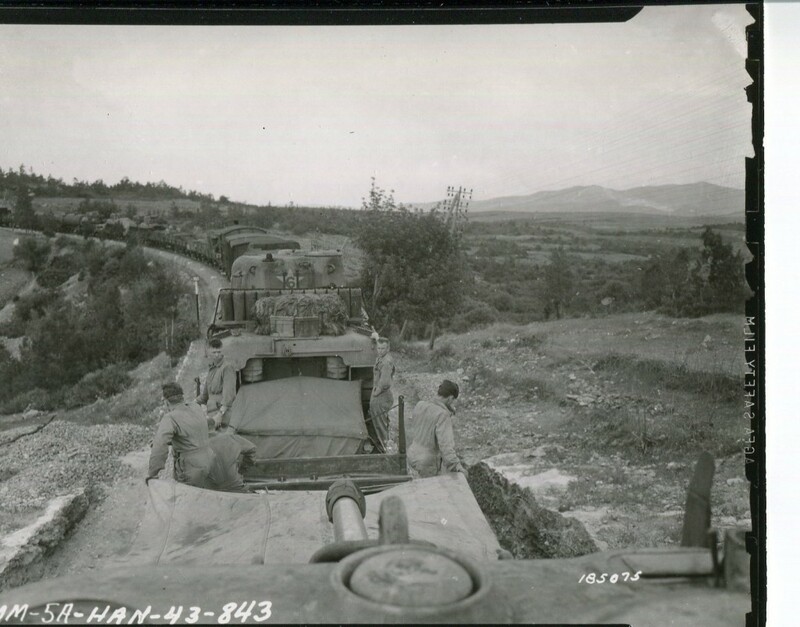 Lieutenant General George S. Patton, Jr. later wrote that the battalion “organized national rail workers, located equipment, had steam up, and made a reconnaissance of the rail lines four hours after landing.” In its first twenty-four hours of operations, the 727th moved 400 tons of supplies forward to the 3d Infantry Division. By the third day it was moving 800 tons. During the campaign in Sicily, the 727th operated 1,373 miles of railway using 300 locomotives and 3,500 freight cars that carried an average of 3,400 tons a day to supply Seventh Army. On 9 September 1943, the Allies made their first landing on the European mainland at Salerno, Italy. 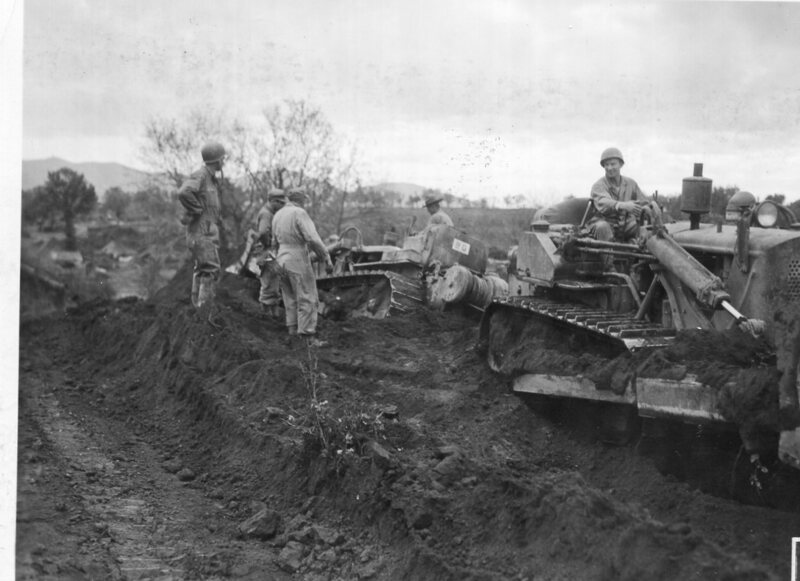 After encountering heavy German resistance, they spent the rest of the month building up men and supplies in the beachhead in preparation for an offensive to capture the port city of Naples. Three days after the first Allied troops entered Naples, the advance party of the 703d Railway Grand Division (Atlantic Coast Railroad Company) reached the port only to find that the combination of Allied bombing and German demolition had left the rail yard in shambles. Technical Sergeant Louis L. Russel of the 713th Railway Operating Battalion described the scene on Wednesday 6 October: “Charred and twisted cars were strewn around haphazardly, with lengths of rail cross ties still attached, pointing toward the sky.” It was a mess, but the next day, First Lieutenant R.H. Anderson, a yardmaster from Newton, Kansas, was optimistic when he said, “I believe we can get a train out of this by Sunday.” With everybody in the battalion, including conductors, engineers, and firemen working to clear the debris, Anderson proved correct. On Saturday, a test train consisting of an old Italian locomotive pushing five cars moved four miles out of the yard. Four days later, six trains moving an average of 450 tons each, rolled to the forward railhead. At the same time Allied forces were fighting in North Africa and Italy, they began to build up forces in England for an invasion of France. In July 1942, the MRS organized the 761st Transportation Company at Camp Shelby, Mississippi, with men taken from the 713th, 727th, and 730th Railway Operating Battalions. In September, the company deployed to Scotland where it operated the Melbourne Military Railway and provided switching service to depots being established by American forces. The first railway operating battalion to arrive in England was the 729th (New York, New Haven and Hartford Railroad Company) in July 1943. By June 1944, when Allied forces landed at Normandy, the MRS had two grand divisions, three operating battalions, and four shop battalions in England. While in England, the American railroaders conducted technical training, prepared American steam and diesel locomotives for use on the continent, and assembled prefabricated railcars shipped from the United States. They also operated sections of the British rail system that carried American troops and supplies. As in Italy, railroads and yards were prime targets for Allied bombers in the months before the landings in Normandy, France. Two years of bombing raids had destroyed railroad facilities and twisted tracks into extraordinary shapes. 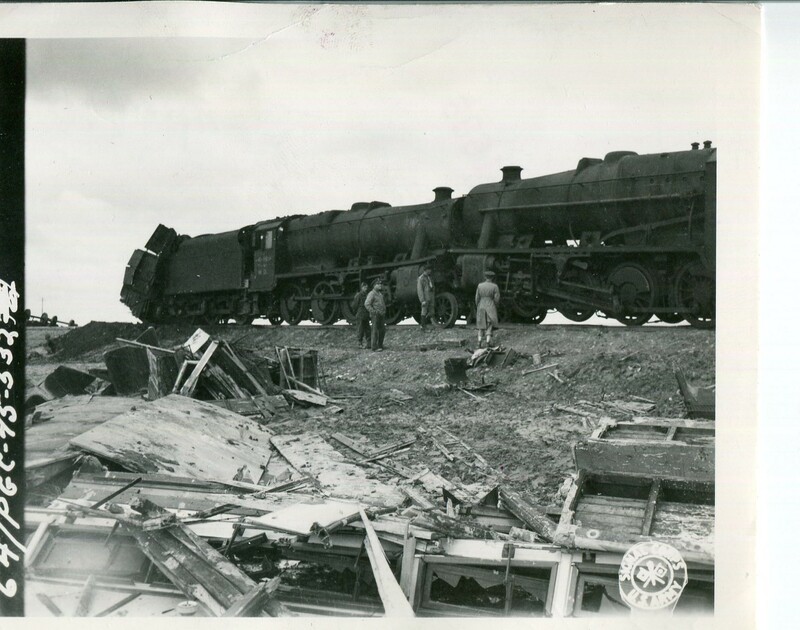 Eleven days after the Allies landed on 6 June 1944, a small detachment of MRS troops arrived to assess the railroad facilities in the beachhead, estimate damage to rails and yards, and locate available locomotives. Using a Jeep equipped with flanged wheels, the detachment surveyed the lines from the landing area to the port of Cherbourg. On 2 July, the 729th Railway Operating Battalion arrived in Normandy and took over operations at the Cherbourg terminals. Assisted by French engine crews and volunteers, the American railroaders repaired roundhouses, shop buildings, engines, and rolling stock while Army engineers cleared the rail line from Cherbourg to Carentan. Nine days after arriving in France, the 729th operated the first passenger train between the two cities. The 720th Railway Operating Battalion (Chicago and North Western Railway) arrived in France on 15 July and began to rehabilitate and operate approximately sixty-two miles of track between Bayeux and Lisieux. Three days later, the 757th Railway Shop Battalion (Chicago, Milwaukee, St. Paul and Pacific Railroad) went to work at Cherbourg. In August, another three operating battalions and two more shop battalions arrived. By the end of the month, the MRS was operating 1,006 miles of track and had carried 29,450 passengers on 251 trains and moved 136,169 tons of military freight on 991 trains. Grand divisions, operating battalions, and shop battalions continued to deploy to both northern and southern France to support the Allied forces rolling into Germany. As new battalions arrived, the ones already on the continent moved forward behind the advancing armies. In March 1945, the 729th, the first operating battalion to arrive in France, began transporting rail and construction material to Army engineers building a bridge over the Rhine River at Wesel, Germany. On 9 April, the 720th operated the first train across the new bridge. In its first thirty days of operation, 273,141 tons of freight moved east across the bridge while another 403,656 tons and 309,000 displaced persons moved west. In May 1945, when the war in Europe ended, the MRS included seven grand divisions, twenty-four operating battalions, seven shop battalions, and a variety of depot and maintenance units as well as eight battalions and two separate companies of military police. Between D-Day at Normandy and V-E Day, MRS loaded and moved more than eighteen million tons of military freight. On 7 June 1945, American railroaders were operating 1,937 locomotives, 34,588 freight cars, and 25,150 miles of track in western Europe. Demobilization of railway units began shortly after V-E Day. The largest contingent of American soldier railroaders was in western Europe with more than 26,600 officers and enlisted men serving there by the end of the war. The last MRS unit, the 716th Railway Operating Battalion (Southern Pacific Company) left Europe in February 1946. In addition to Europe and North Africa, MRS units operated railroads in India, Burma, and the Philippine Islands. Railway units in India supported construction of the Ledo Road and the airfield used for the airlift over the Himalaya Mountains that provided logistical support to the Chinese. They also supported British and the American forces fighting the Japanese in Burma. The 705th Railway Grand Division (Southern Pacific Company) oversaw military rail operations in India and Burma. The division, along with five railway operating battalions, the 721st (New York Central Railroad), 725th (Chicago, Rock Island and Pacific Railroad Company), 726th (Wabash Railroad Company), 745th (Chicago, Burlington and Quincy Railroad), and 748th (Texas and Pacific Railway company) all sailed from Los Angeles aboard the SS Mariposa in December 1943. After thirty-one days at sea they arrived at Bombay, India, in January 1944 to begin operation of sections of the Bengal and Assam Railway. In India, each of the five operating battalions managed an average of 133 miles of railway. By implementing American techniques, the tonnage carried by the Bengal and Assam Railway increased forty-six percent in the first twenty-six days after the MRS took over. Compared to American railroads, the Indian system was relatively primitive. A unique aspect of railroading in India was the use of elephants to switch cars when locomotives were not available. India also had little in the way of telegraph, telephone, or signal communications. American railroaders installed modern communications equipment to coordinate the increased train movements. They also added 100 miles of double track to facilitate traffic flow. The improvements paid off. Between February 1944 and September 1945, the MRS moved 6,217,143 tons of freight and operated 5,559 passenger trains. The last American railway units left India in October 1945. There were no requirements for railway units in the Pacific Theater until the Allies reached the Philippine Islands in late 1944. 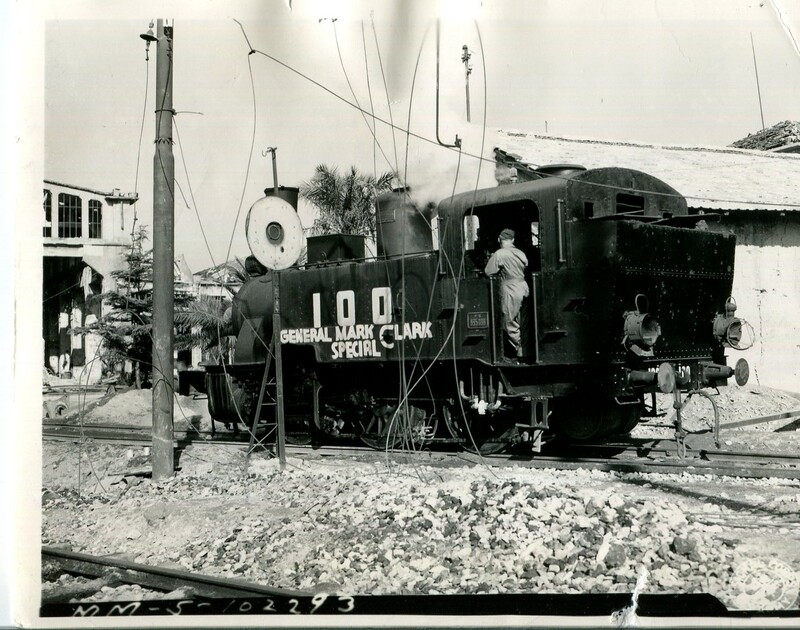 Shortly after the amphibious landings on the island of Luzon in January 1945, a company of MRS troops arrived on the island and began to rehabilitate the rail lines so they could operate the Manila Railway Company. The railroad was in terrible condition due to lack of maintenance, American bombing, and Japanese destruction. 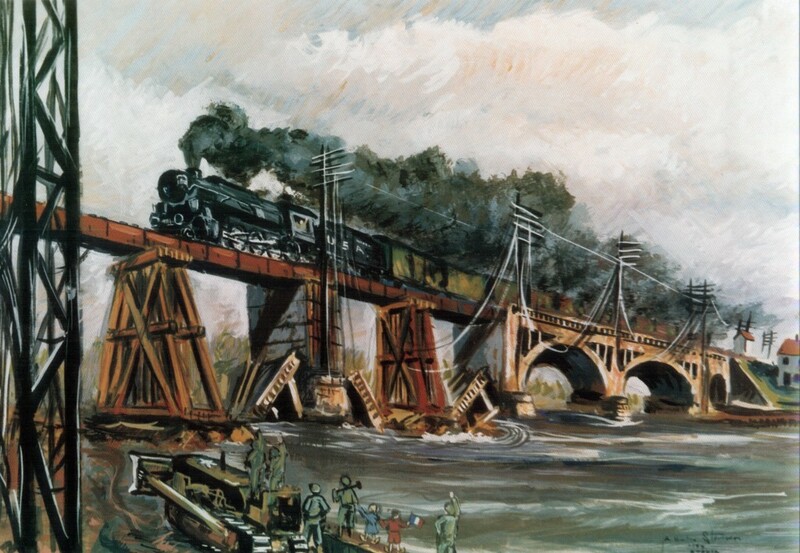 While Army engineers rebuilt bridges along the rail line, railway troops repaired locomotives and railcars. The Manila Railway Company had about 712 miles of track on Luzon, but the American forces used only 234 of them designated the Luzon Military Railway. The first train on the line ran on 19 January for a distance of about thirty miles. Because there was no coal the locomotives burned driftwood, pulpwood, and coconut hulls. Railway supplies began to reach Luzon in February, including locomotives, cars, shop machines, and track material. Eventually fifty-three American-built locomotives and 990 cars reached the island. Several mobile railway workshops deployed to Luzon in March, and in April, two operating battalions, the 737th (New York Central) and the 749th (New York, New Haven, and Hartford Railroad Company) arrived to operate sections of the Luzon Military Railway. By October, MRS troops in the Philippines reached its peak strength of 3,200 officers and enlisted men and 6,010 civilians. Between 1 June and 31 December, they operated a total of 7,410 trains with 48,131 cars. The Army returned control of the Luzon Military Railway back to the Manila Railway Company on 1 January 1946, and the last MRS personnel left the Philippines three months later. 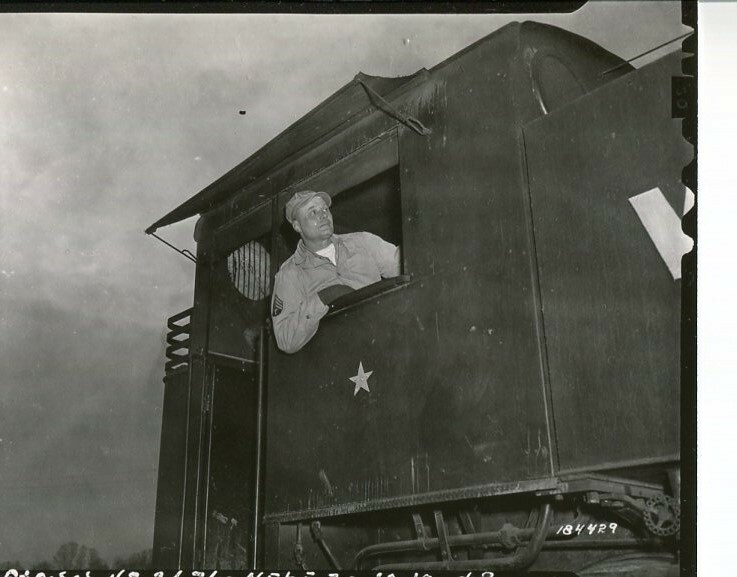 The Military Railway Service was a remarkable team effort made possible by the Affiliation Program the Army and American railroaders developed in the 1930s and implemented as the clouds of global war appeared on the horizon. During World War II the service operated and maintained railroads in Europe, North Africa, Asia, and the Pacific that totaled more than 22,000 miles. Some 43,500 soldier-railroaders, most of whom brought years of experience with them, served in the Army in every theater of operations moving personnel and freight, often under enemy fire and through extreme weather conditions. Their efforts proved vital to the Allied victory.